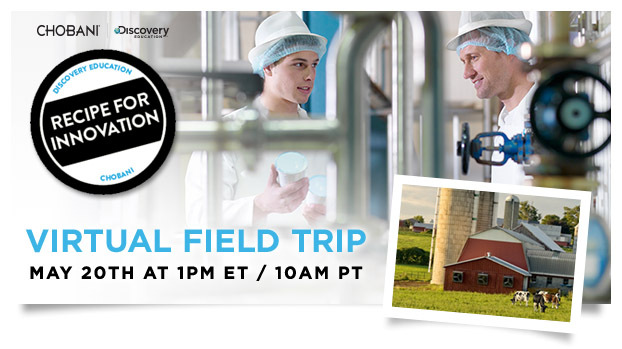 Join Discovery Education and Chobani as we transport your classroom to the Chobani factory in New Berlin, NY for a sneak peek into the technology used to deliver fresh milk, add live and active cultures, complete a straining process and transport Greek Yogurt to the grocery store. K-5 classrooms will also meet the Founder and CEO of Chobani, Hamdi Ulukaya, for a personal behind-the-scenes look into this journey from farm to fridge. Along the way, we’ll explore the role of proteins and probiotics in our diet. Students will even have the chance to hear their questions answered LIVE!